Hello Doodlebugs! 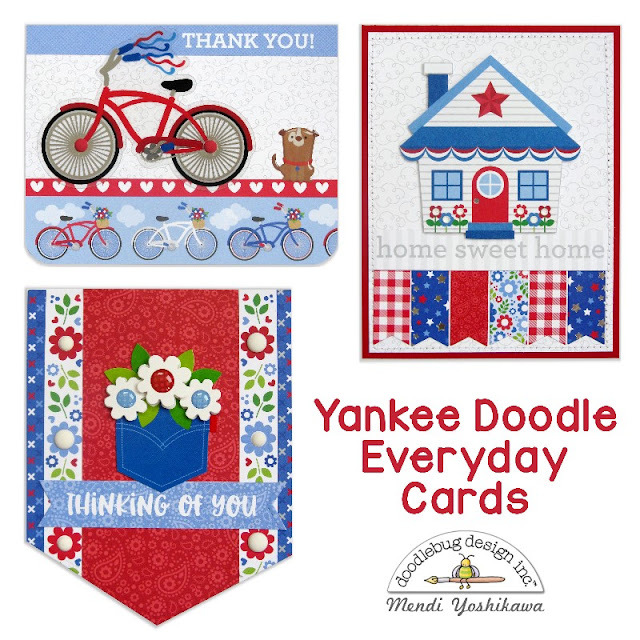 It's Mendi here today with some fun projects featuring the adorable new Yankee Doodle collection. 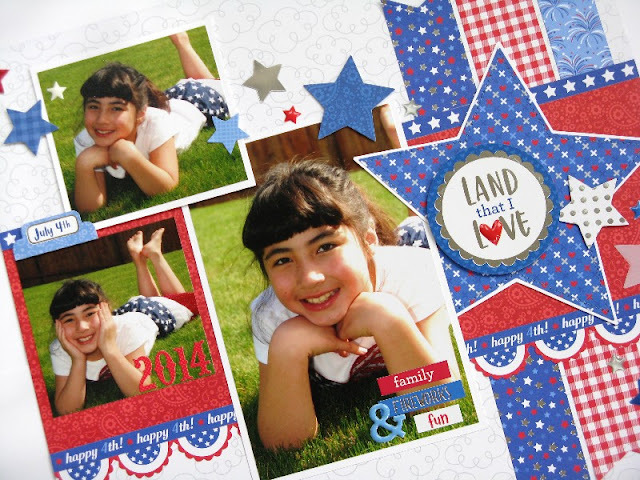 I don't know about you, but the Doodlebug's fourth of July inspired paper and embellishments win me over every time. 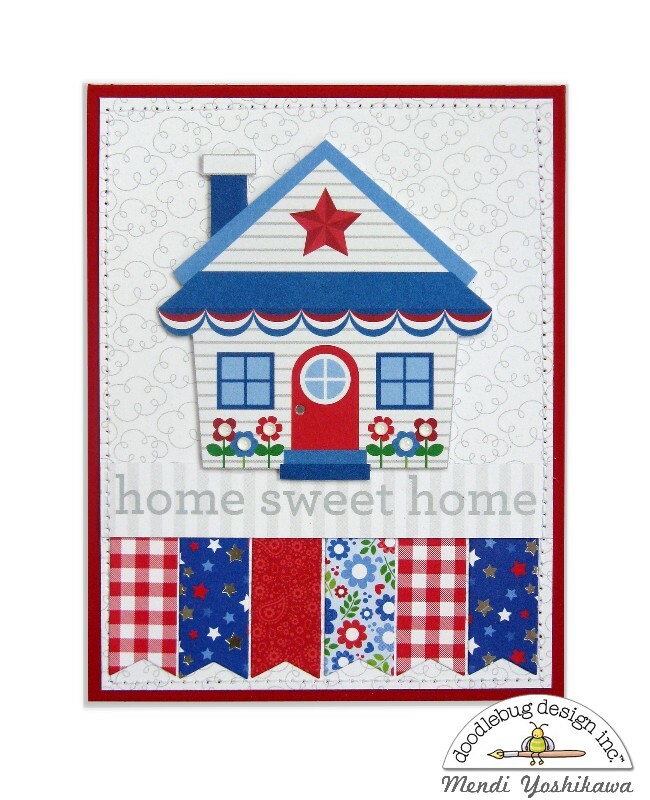 There's just something so happy about the red, white and blue color scheme, don't you think? 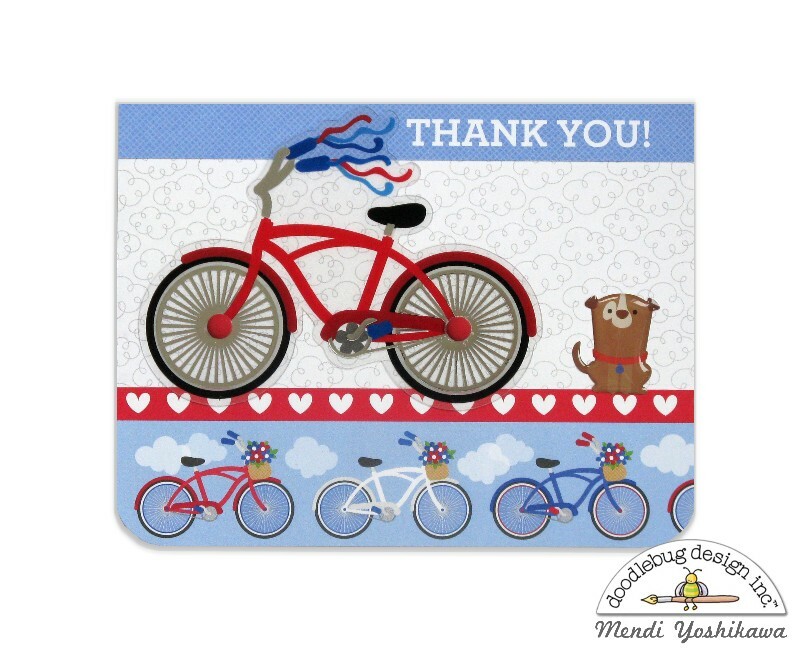 To start off I thought I would create some everyday cards that are perfect for all year 'round. I'm not very good about sending out holiday cards outside of Christmas, but I can always use some good basic cards to grab on the go when I want to let someone know I am thinking of them. For my first card I created a thank you card pairing the borders from the pint sized treasures paper with a sentiment strip from the summer celebrations paper. I then added a clear acetate bicycle die-cut from the odds & ends pack and embellished it with some red matte sprinkles from the collection. My final touch with a cute dog sprinkle from the Puppy Love collection. For my next card I cut another sentiment strip from that same summer celebrations paper and then tucked some banners below it using scraps from the 6x6 paper pad that I had left over from previous projects. I completed it with a simple stitch around the edge with my sewing machine and a darling house die-cut from the odds & ends set. For my last card I wanted to mimic the shape of the cute Doodle Pop pocket full of posies sticker so I turned to some Fishtail banner dies in my stash to cut the bottom edge of my card base. As a final finishing touch I added some white matte sprinkles to the centers of the posies on the border strips going down each side of my card. 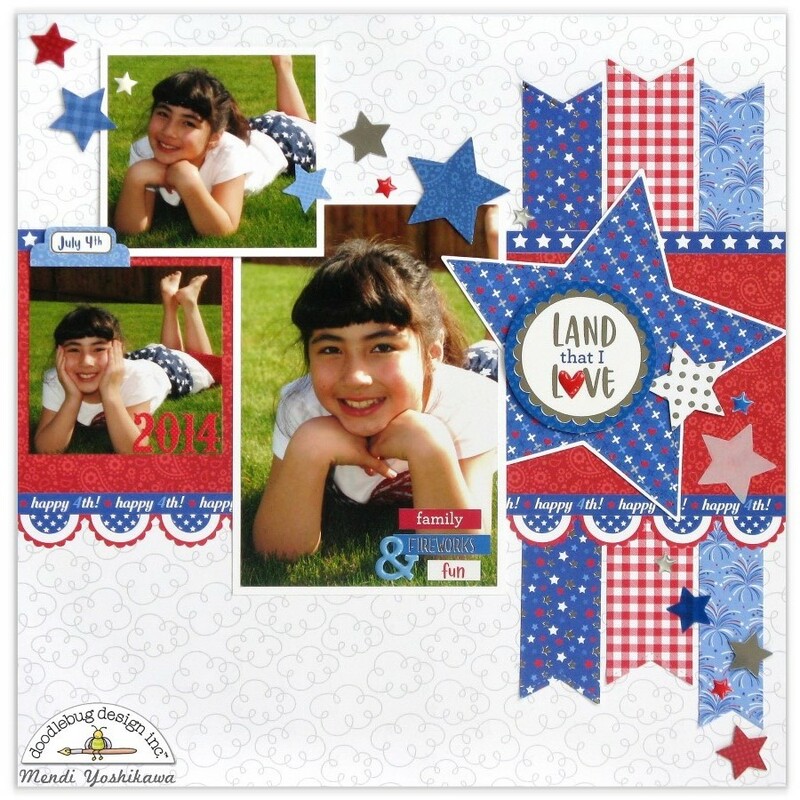 As one last project for the day, I created a fourth of July layout using this sweet collection. I used all the die-cut stars from the odds & ends pack to form a diagonal trail across my page and to help direct the viewers eye from one side to the other. That layout is just adorable and I love the cards!!!! Your cards are adorable and the layout is gorgeous! !